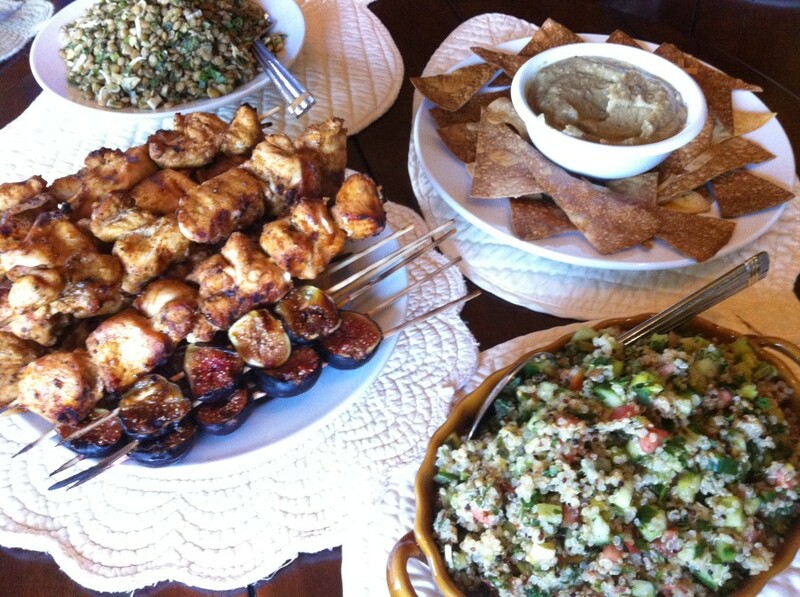 Here’s the recipe for the lentils w/ fennel and mint, which we made to go with our Mediterranean night, along with chicken skewers w figs, and rice chips with delicious babaganoush. In a large wide saucepan on medium high heat, add water, and let it come to a boil. Add lentils to boiling water, cover, and reduce heat to simmer. Cook for approximately 30 minutes, or until lentils are soft but not mushy soft. Drain, transfer to a bowl to cool before adding other ingredients. 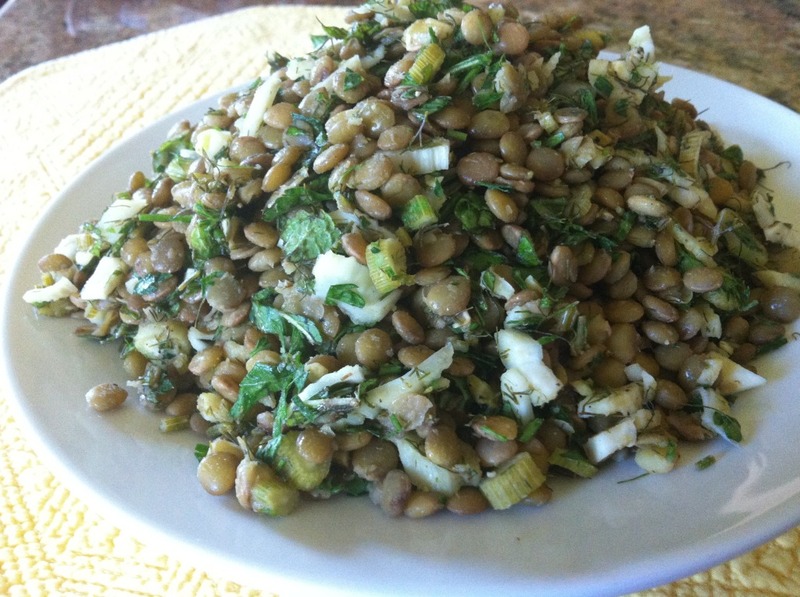 Meanwhile, prepare all the ingredients, when lentils have cooled somewhat add scallions, mint, parsley, lime juice, rice vinegar, extra virgin olive oil. Toss well. Then add kosher salt and pepper. Toss again. Serve cold or room temperature.